We went on a Buffalo hunt on the Pine Ridge reservation last week. It was a long journey through back roads to the Buffalo. The roads were snow packed and slick making it slow going. Though we left early we were racing the clock as it was starting to get warmer. Making it more difficult on the slick roads to get up and down the hills. Finally reaching our destination we went on the hunt. 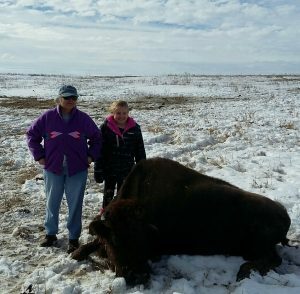 The only two Buffalo girls were my granddaughter Ava and I.
Tatanka “Lakota for Buffalo” was traditionally revered by the tribe. 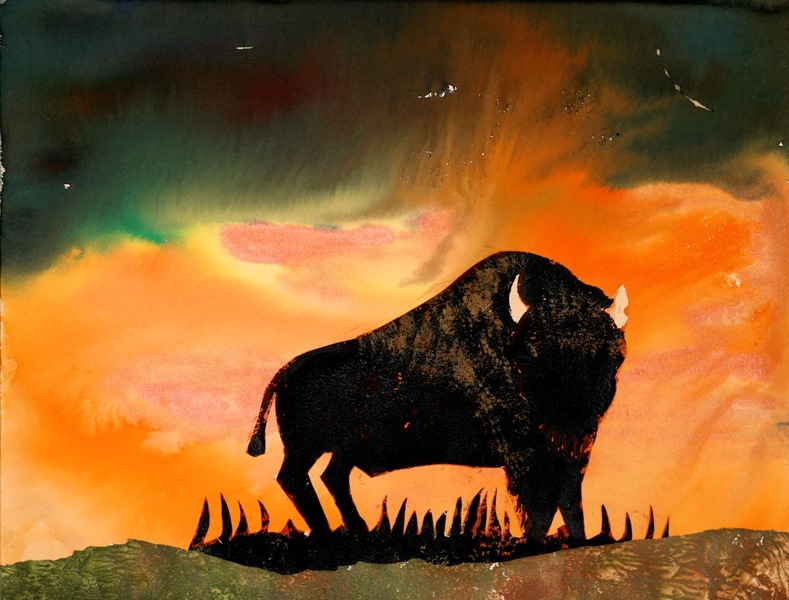 The Buffalo nation sustained the people “Oyate”. Every part of the Buffalo was used. The meat was cut into thin pieces and sundried to feed the people during the harsh winter months. Sweet “wasna” was made from dried berries ground with Buffalo tallow or bone marrow. Wasna was formed into dried patties and was very nutritious. Buffalo stew was the main stay for gatherings and celebrations. The hide was made into moccasins, clothing, and Tipis. After the hunt, my modern day moccasins were ruined. The Lakota value of generosity can and should be applied to our lives in various ways. One simple way was Brother Vic came along on the hunt and cleaned some of the delicacies such as the heart, liver, and etc. He took them home to bag and freeze to give it to the elders. This is a real treat because the delicacies are highly valued by the Elders. We try to keep the old traditions by sharing and using every part of the Tatanka. 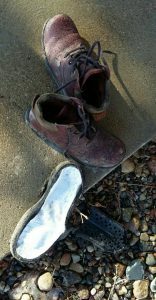 After the hunt, I ruined my modern day moccasins. It is so easy to get caught up in making a living and day to day life, that we forget those less fortunate. If you are blessed with a roof over your head and enough food to eat, please think about the Lakota value of generosity and give a helping hand to those who need it.